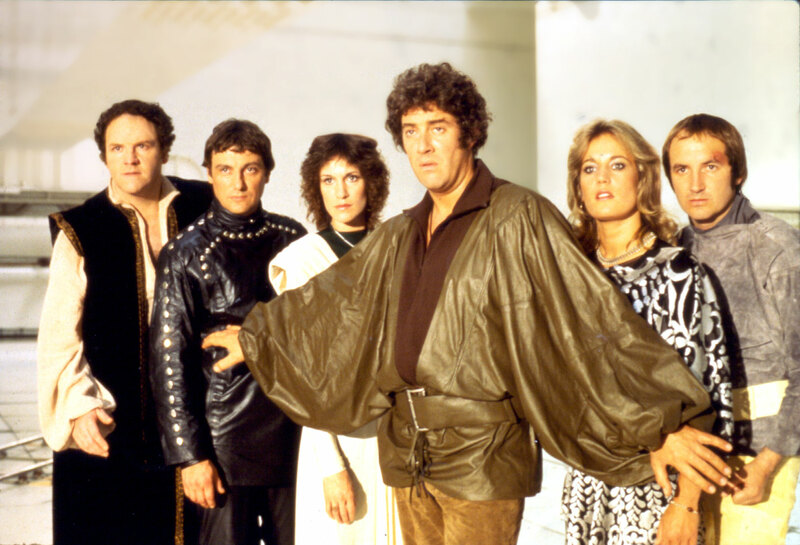 For years I’ve been telling people that the best science fiction series made for television was the BBC space opera Blake’s 7. Many might consider this a rather bold claim – after all, what of Doctor Who, Star Trek or Battlestar Galactica, old or new? What of Buck Rogers, Farscape, Firefly, Babylon 5 and the like – each of which have huge legions of fans willing to argue the virtues of their chosen favourite. I too had begun to wonder whether or not my preference was some age-old nostalgic attachment or a genuine critical preference. To decide this matter once and for all, I recently began watching the series again, only to discover that Blake’s 7 is even better than I recall. Before reading further, it is important to note that this contains MAJOR SPOILERS. What makes Blake’s 7 so great is a combination three key elements – great scripts, characters and concepts. Like all good science fiction, Blake’s 7 wrestles with important moral and ethical questions about the future, as well as exploring concepts relating to human colonisation of other planets and the nature of the societies that develop. Yet, ultimately, Blake’s 7 is concerned with freedom from the oppression of a totalitarian galactic empire – The Terran Federation. It is the significant grey areas that Blake’s 7 establishes in response to the moral and ethical questions it raises which make it so compelling. Often there is no clear right and wrong and actions taken in favour of the greater good often have fatal and devastating consequences for some, or indeed, many. The lead characters are in many ways dysfunctional or significantly flawed and, despite their best intentions, they make questionable moral decisions. The tone is frequently dark and unsentimental – support characters are killed ruthlessly or suffer a martyr’s death – a fate to which Blake’s crew are by no means immune. The story begins on Earth – the centre of the vast and tyrannical Terran Federation, which has been extending its power and colonies throughout the galaxy for the last seven or eight centuries; maintaining its control through the use of mass surveillance, drug pacification and brainwashing. Roj Blake, the eponymous character of the series, is a former political dissident and rebel leader who, after being captured and having his memory suppressed through psychological conditioning, was put through a show trial in which he was forced to denounce his movement. When he is approached by a group of dissidents and invited to attend a meeting outside the citadel in which he resides, he is initially doubtful and unable to recall any details of his past life. Curious all the same, Blake attends the secret meeting and arrives to find it is a trap. He witnesses a Federation massacre of all those present. Blake is then captured once again and put on trial under false charges of child molestation. The trial, little more than a farce, results in a guilty verdict and Blake is imprisoned pending transportation to a penal colony on the planet Cygnus Alpha. It is whilst he is in the holding cell that he meets some of the others who come to form his crew. During the long journey, Blake and the other prisoners attempt to take control of the ship, but are foiled. 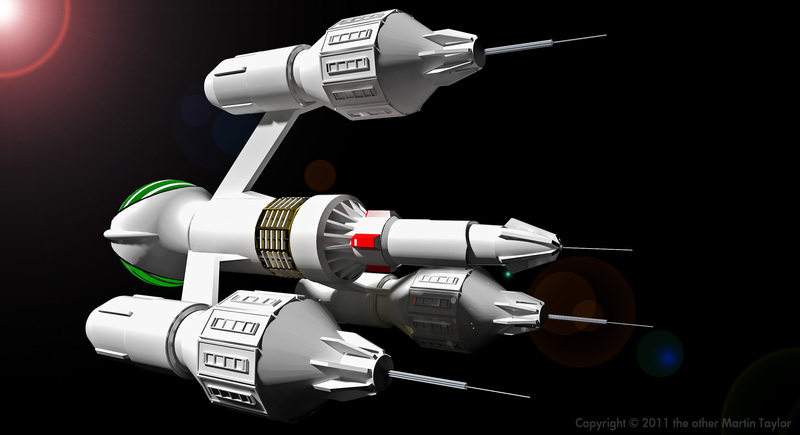 When the prison transportation ship comes across a drifting spaceship of alien origin, the crew decide to investigate and dock with the stricken vessel. The forward party are, however, killed by an automatic defence system and Blake is sent with two other prisoners, Kerr Avon and Jenna Stannis, all of whom are considered expendable, to investigate. Fortunately they are able to overcome the psychological horror which the ship uses as a defence and take control of what is soon named “The Liberator,” a highly advanced ship capable of speeds considerably faster than Federation pursuit vessels. Freeing themselves from the prison transport, they vow to follow it to Cygnus Alpha where they will free the other prisoners. Thus begins their career as freedom fighters against the Federation. 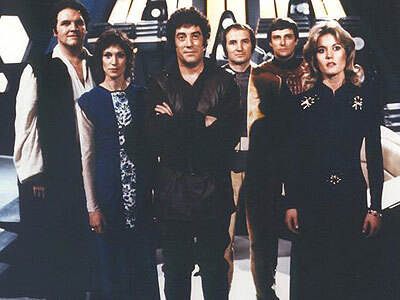 The show, created by Terry Nation – inventor of the Daleks – was originally pitched as the “Dirty Dozen in space” and this can be seen in the criminal backgrounds of most of the core characters. 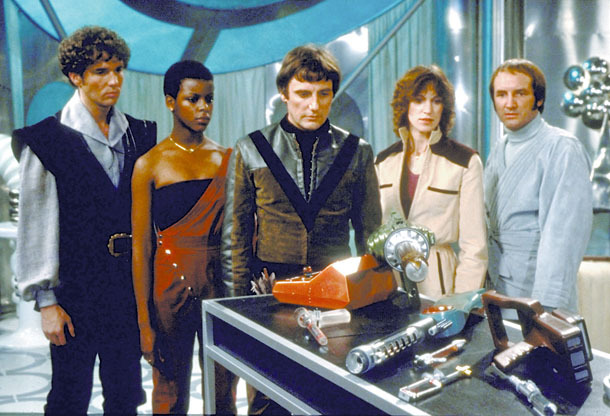 Blake’s crew consists of a corrupt computer genius – Avon; a smuggler – Jenna Stannis; a thief and security expert – Vila; a murderer with a brain implant to curb his violent urges – Gan; a telepathic guerrilla soldier – Cally; a computer with a distinct personality – Zen; and the most advanced computer in the galaxy – Orac, which retains the personality and temperament of its creator, Ensor, and is capable of tapping into the databases of all other computers across the galaxy. Season three saw the introduction of a naive weapons expert – Dayna and a highly skilled former Federation spaceship commander, now turned mercenary – Del Tarrant. In season four, the crew are joined by Soolin, a high-tech gunslinger and an obsequious computer – Slave. How typical of England to produce a completely dystopian future as opposed to the air-brushed future of Star Trek, with its prosperous and harmonious populations on Earth having, apparently, settled their differences and moved on to peacefully exploring the galaxy. Occasionally, like Star Trek, the show dissolves into pantomime – poorly choreographed fight sequences, wobbling model spaceships, melodramatic exchanges, clumsy gender politics and implausible courses of action. Blake’s 7 also lacks a large cast of extras and thus most of the galaxy seems almost entirely unpopulated – the Federation, a vast galactic empire which has been extending its power across the galaxy for centuries – has very modest-looking facilities – claustrophobic space stations, small planetary outposts, and a lot of brightly lit, small, white interiors. Yet despite these limitations, the quality of the ideas and the scripts, the intensity of the dialogue and dramatic sequences and the richly drawn, complex characters win through. At the heart of the show is the rivalry between Blake and Avon, arguably the most intelligent and capable members of the crew, who have distinctly different personalities and motivations. 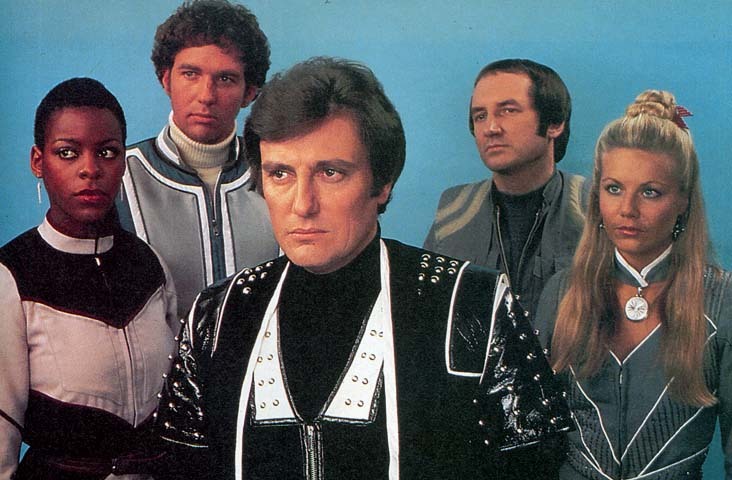 While Blake intends to use Liberator to strike against the Federation, the others are often reluctant followers – especially Avon. Blake and Avon’s clashes over the leadership represent a conflict between idealism and cynicism, emotion and rationality, and dreams and practicality. 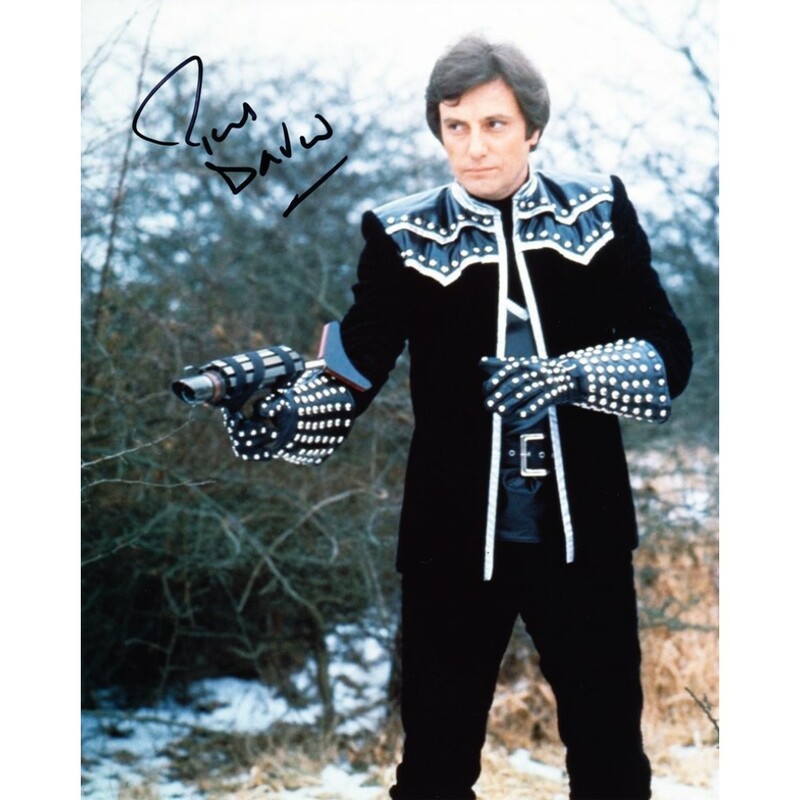 Both roles are wonderfully played by Gareth Thomas and Paul Darrow and while Blake is more hero than anti-hero, in some regards Avon is the more admirable character, despite his dark cynicism and blatant self-interest. He often shows Blake up for what he is – an idealist who is willing to sacrifice people for the greater good. Avon’s sharp wit, high intelligence and utter disdain for those he sees as beneath him – practically everyone he comes into contact with – is a delight to watch. Most fans of the show cite Avon as their favourite character and in many ways he is the most complex of them all. His prominence also increases through the disappearance of Blake at the end of season two. A YouTube video offers some of Avon’s finest quips, and it is worth mentioning that all of the episodes can be watched on YouTube. Blake, idealist that he is, can be a demanding and cantankerous personality. At times he is difficult to like – demagogic and forceful, he often raises his voice unnecessarily, at the absolute limits of patience with his crew. He is not always forthcoming with his plans and intentions – not entirely trusting the others to go along with him or agree to his plans. Yet despite this, Blake is still a warm and very sympathetic character, burdened by the choices that he is forced to make. Often he is faced with difficult moral and ethical decisions and, in his somewhat determined pragmatism, can appear heartless and utilitarian. The show constantly asks the question – what exactly is the price of freedom? If a few die so that many might be free, even if freedom leads to circumstances worse than slavery or the oppressive, heavily sedated rule by the Federation, is that acceptable? The grey areas are at times confronting, at times shocking, and we are invited to judge for ourselves through the obvious discomfort of the characters – ever on the brink of mutiny against Blake. Even Blake himself wonders at his cause and his methods. Essentially Blake and his crew do what terrorists do – unable to defeat a far more powerful enemy, they undermine and degrade their enemy’s morale and capability. Rather than confronting the Federation head on, they work on the fringes much of the time, helping other resistance movements to liberate outlying colonies. Seen as nothing more than criminals by the Federation, they are pursued throughout the series by the wonderfully theatrical Servalan, a stalwart nemesis present from go to woe. 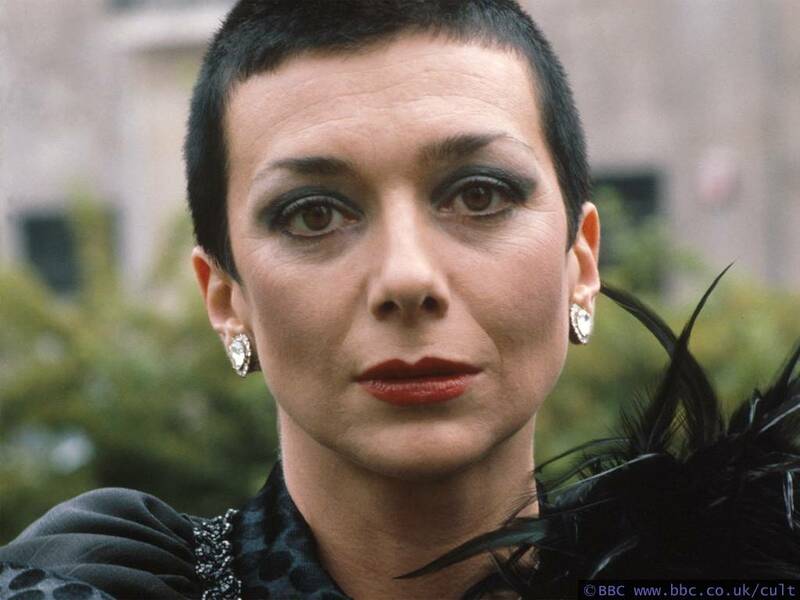 Servalan’s sexually charged cruelty not only makes her a deliciously immoral opponent, but also brings her into the arms of Blake, Avon and Tarrant at various points. She is assisted by a range of expendable side-kicks and, for the first two seasons, by the ruthless and capable but overconfident and ultimately bungling Space Commander Travis. Travis is a delight in Season One, artfully played by Stephen Grief with a camp and thespy tone not unlike that of Servalan. His replacement by Brian Croucher in Season Two was a terrible error of judgement – not only is it one of the most consistently awful performances I’ve ever seen in a television show, but Grief’s sinister fruitiness is replaced with clumsy thuggery, robbing the character of all nuance and plausibility. Fortunately, however, though Travis plays a key role in some episodes, his efforts are not sufficient to ruin things entirely. CALLY: Many, many people will die without Star One. CALLY: Are you sure that what we’re going to do is justified? BLAKE: It has to be. Don’t you see, Cally? If we stop now then all we have done is senseless killing and destruction – without purpose, without reason. We have to win. It’s the only way I can be sure that I was right. CALLY: That you were right? Blake initially decides to go ahead with its destruction, choosing freedom from Federation slavery over life and death. Yet, upon finally finding Star One – a small, barely habitable planet orbiting a dying star in interstellar space on the edge of the Andromeda Galaxy, Blake discovers that it has been infiltrated by aliens who have assumed the form of the few scientists left to maintain and refine the facility’s systems. The aliens, from Andromeda, have been destabilising its operations to create chaos on Federation planets, and working to disarm a vast orbiting minefield built by the Federation in anticipation of an Andromedan invasion. It is only when Blake realises that this invasion is imminent – a fleet of 600 ships sits just outside the minefields – and that humanity will likely be defeated and enslaved if attacked unprepared, that he changes his mind, arguing that humans will need all the resources and facilities they can to win the impending war. He also notifies Servalan, now acting president of the Federation, having assumed power under the guise of crisis, of the position of the enemy battle fleet. Though Blake doesn’t hesitate to make this decision, it further reflects the complexity of the dilemma, both moral and ethical. Only the Federation can defeat the Andromedans and thus save humanity. It is, in effect, another utilitarian decision. Ultimately, Blake gets what he wants without having blood on his hands. The ensuing battle results in a great Federation victory – yet it is dreadfully pyrrhic in nature, costing almost the entire Federation fleet. In an Andromedan counter attack, Star One is destroyed. 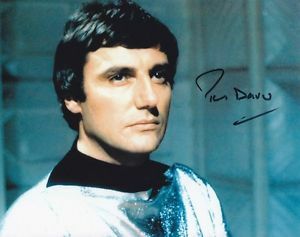 Season Two ends with Avon at the helm of the Liberator, and the wounded Blake – having been shot by Travis, in the medical bay. It is the last time we see Blake until the final episode of the series – a whopping 26 episodes later, with the exception of a brief appearance at the end of season 3. Were one not aware that Gareth Thomas, along with Sally Knyvette who played Jenna, had chosen not to return for season three, one might be inclined to think that Blake had decided enough was enough. Were the moral implications of his actions too great? Had his conscience got the better of him? The Liberator is damaged in the space battle and, we are told, Blake and Jenna are fired off in life-support capsules, gone from the show. 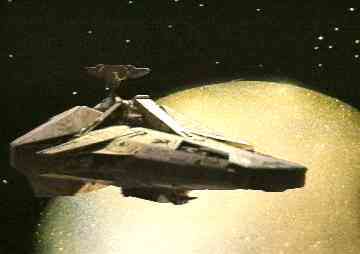 In Season Three, without the drive and purpose of Blake, and perhaps as a consequence of less uniform characterisations by different screen-writers, the show briefly loses its way, becoming a rather too whimsical and downright silly sequence of stand-offs between the crew of the Liberator and Federation President Servalan. There is a seeming inconsistency in the sudden elevation of Del Tarrant, another alpha male like Blake and Avon, to an all-too assertive leadership role – one which Avon seems, at times, oddly willing to ignore. Yet despite some inconsistencies, the show retains its enormous sense of fun and its savage critique of both power and revolution, though at times it feels as though this has come at the expense of the gravitas that pervades the first two seasons. When season three begins, one feels Blake’s absence most acutely. For the first time, his strident, yet passionate, argumentative, yet reasonable, almost dictatorial personality is missing from the show. Avon, with far less heart or conscience than Blake, yet, arguably, far greater intelligence, finds himself in charge – a position he always wished to occupy. Episode 2, Powerplay, an absolute cracker during which Avon returns to the abandoned Liberator to find it occupied by Federation troops, introduces Del Tarrant, a skilled spaceship pilot who is unwilling to bend to Avon’s will so easily. A new rivalry develops between the two, in which Avon is often willing to take a back seat, allowing Tarrant to assert himself. The new dynamic is equally electric, with the more agreeable but strong-willed Dayna also joining the crew. Season Three ends with the loss of the Liberator, which begins to corrode uncontrollably after passing through a strange cloud of fluidic particles that eat the hull. In this episode we also catch a glimpse of Blake, whom Avon finds in a medical bay on the planet, Terminal. Blake, however, is merely a hallucination – part of an elaborate ruse by Servalan to get hold of the Liberator. Servalan agrees to hand over Blake in exchange for the Liberator, not knowing that the ship is doomed. Likewise, Avon is unaware that the Blake he met was only an illusion. This was intended to be the end of the series altogether, a sort of defeat for both parties. The popularity of the show, however, and the enthusiasm for it of various figures at the BBC, led to the commissioning of a fourth season. Season Four has a very different character again. Without the Liberator, desperate and trapped on an inhospitable alien world, the crew initially appear like gangsters – commandeering at gun-point the ship, Scorpio, of their would-be rescuer, Dorian. Whilst Avon is right to distrust Dorian, who has plans to kill them in a mystical process to rejuvenate himself, his behaviour is most cavalier and brutal. This theme runs consistently throughout season 4 – a constant questioning of the actions and motivations of the crew, especially regarding the risks they are willing to take with other people’s lives. In Episode 4, Stardrive, they “rescue” a certain Dr Plaxton from a group of speed freak punks called the Space Rats, along with her incredible new stardrive. During a daring escape from Federation pursuit ships, Dr Plaxton works furiously to connect the drive on the ship. With seconds to go before plasma bolts strike, Avon engages the engine, ensuring that as soon as the last connection is made, the drive will fire, resulting in Dr Plaxton’s death. “She’s dead anyway,” he says, perfectly truthfully. Yet after she has died, when Dayna says to him, “But what about Dr Plaxton?” Avon coldly replies, “Who?” It’s a savage world. The tensions between the group continue to simmer – especially those between Avon and Tarrant, and while Vila comes across as somehow more capable and resourceful throughout the season, in contrast to his weak and cowardly nature throughout the first three seasons, he also reaches some of his lowest, most pathetic points. Perhaps the saddest, most tragic moment in the whole series occurs at the end of episode 11, Orbit, when he and Avon are stuck on an overloaded shuttle that lacks sufficient fuel and power to reach escape velocity. Destined to crash, they desperately start stripping the ship’s fittings and firing them out the airlock to reduce weight. When Orac informs Avon that a further 70 kilograms are required, then adds that Vila weighs 73 kilos, what follows is a truly awful, yet wonderfully tense moment when Avon, having realised again that it’s a simple, clear choice, goes after Vila, genuinely intending to kill him and throw him out the airlock. The scene in which we see Vila cowering behind a bulk-head, tears in his eyes, is perhaps the most traumatic of the whole season. It is made more venomously poignant by the fact that he had stated, at the beginning of the episode, that he always felt safe with Avon – which is why he was with him at the time. Having found another solution and survived, at the end, when Vila says “it’s a trip I’ll never forget, Avon” Avon rather evilly responds: “Well, as you always say Vila, you know you are safe with me.” How they can continue to work together after this is anyone’s guess. Avon’s ruthlessness is again apparent in the penultimate episode – when they are trapped inside their destroyed base, with a deadly in the atmosphere, Avon allows a woman, Zeeona, to whom Tarrant has become deeply, if very rapidly attached, to risk her life to solve the problem, suspecting she will take her own life in the process out of guilt (long story). The satisfaction that he receives from Tarrant’s very visceral emotional devastation is extraordinary. Another grim smirk marks his cruel pragmatism. The final episode of the series, Blake, has long been famous for its tragic conclusion. With their recently acquired base on the planet Xenon now destroyed, the remaining crew of Avon, Tarrant, Dayna, Vila and Soolin, set off in Scorpio towards the planet Gauda Prime, where Avon believes Blake to be hiding. 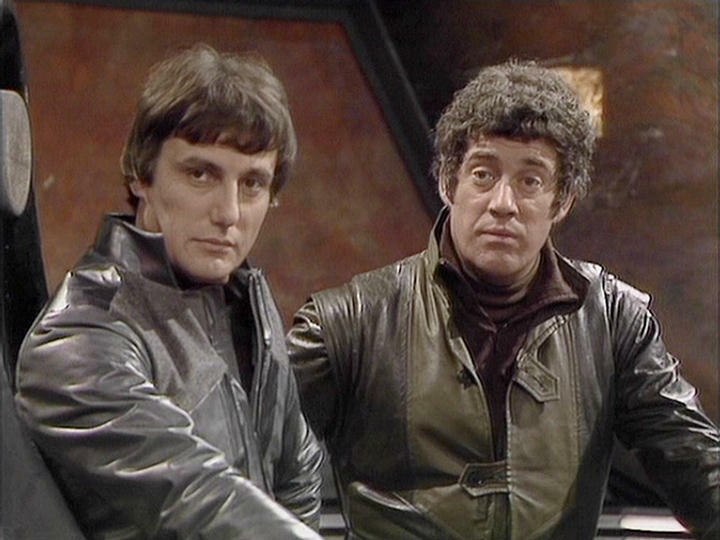 Avon admits that he sees Blake as the only real candidate for leadership of the resistance against the Federation, a cause which he has reluctantly come to realise is his only real option. Scorpio is attacked by patrol ships and crashes on the planet, steered to the surface by Tarrant, while the others teleport down. Meanwhile, Blake who is indeed alive and posing as bounty hunter, rescues Tarrant from the wreck and brings him back to base. There he learns that Tarrant is part of Avon’s crew and implies to Tarrant that he will turn them in to the Federation for the bounty. Tarrant manages to get away, not realising that Blake is simply testing his loyalty. Tarrant meets Avon and the others and together they confront Blake. Before Blake can convince Avon he’s still on their side, Avon shoots and kills him. Suddenly, a squad of Federation troops run in and shoot everyone down save for Avon. Avon does not surrender, but smiles and stands over Blake’s body and raises his gun. Over the otherwise silent final credits, we hear the sound of guns firing. The tragic conclusion to the show is heartbreaking and frustrating, especially after such a lengthy and intense emotional journey. That it should come down to a misunderstanding after such a longstanding rivalry and collaboration, marked as much by mutual respect as distrust and resentment, seems appropriate. Avon’s last words to Blake, just prior to shooting him, alarms pulsing in the background, reveal the deep offense and horror at the thought that Blake might have betrayed them. “Have you betrayed us? Have you betrayed me?” It reveals, at the very end, just how much respect Avon really had for Blake’s commitment and loyalty all along. And, with the death of Blake, the somewhat confused and questionable course the crew have been pursuing in his absence seems finally beyond redemption. That the show should end in tragedy only adds to its greatness, just as Shakespeare’s tragedies are his greatest works. This is a story of the desperate struggle of the weak against the powerful, and the at times immoral and unethical means to which they are forced to resort in their desperation. That the fight should prove ultimately unwinnable makes it far more telling and true than a convenient and morally unambiguous victory over the forces of evil. The rebellion in Star Wars has some parallels in that it is a galaxy-wide revolt against an evil Empire, yet the story lacks any of the moral ambiguity and equally, the characters, with perhaps, the exception of Darth Vader, lack any real moral complexity. 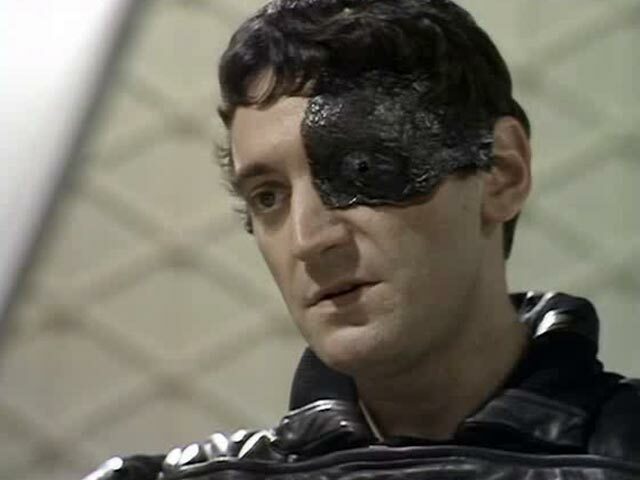 Blakes 7 dared to see the future as a sort of authoritarian nightmare, a very real and, perhaps, more convincing extrapolation from the present. If you can excuse the bouts of silliness into which the show occasionally dips, then it is, without a doubt, the most interesting, well-written and complex science fiction series ever produced.